Since the concrete dried last winter the Natural Science Center has attracted a lot of attention worldwide. 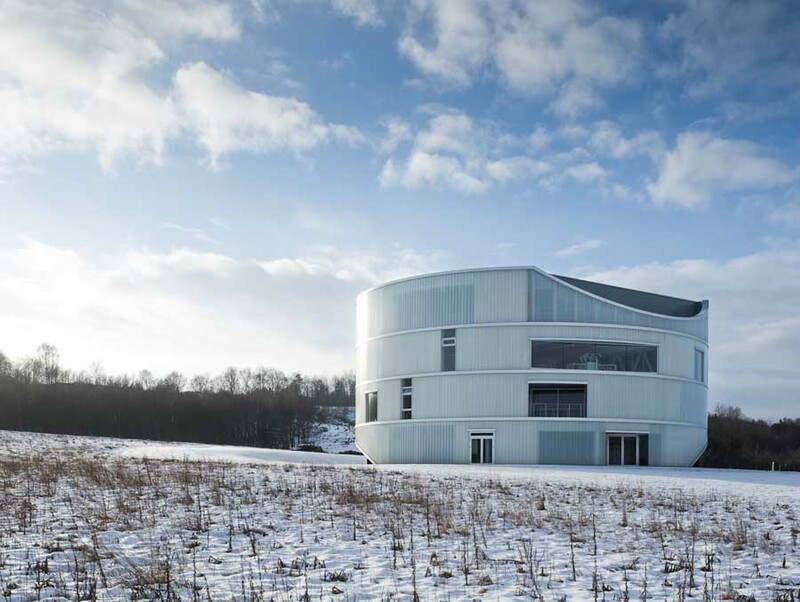 The Danish building situated in Bjerringbro far away from the capital Copenhagen even went as far as getting cited by the World Architecture Community Awards. 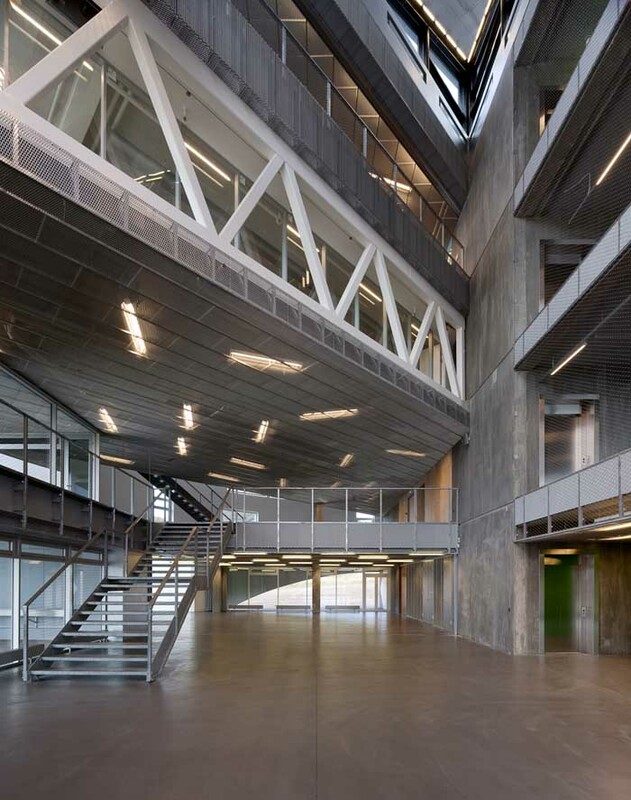 Now the innovative building designed by Nord Architects Copenhagen is nominated for the Mies van der Rohe Award. – We are very happy to be nominated. It means a lot to us, says Morten Rask Gregersen partner in Nord Architects Copenhagen. The Natural Science center is a building out of the ordinary. If you thought atriums spanning two floors were cool, think again. In the Natural Science Center all spaces are open and have views spanning several floors. The building itself is shaped as a cylinder with terraces, openings and cuts to explore and get lost in. – The idea behind the Natural Science Center is to make young people interested in natural science and pursue a career within that field. 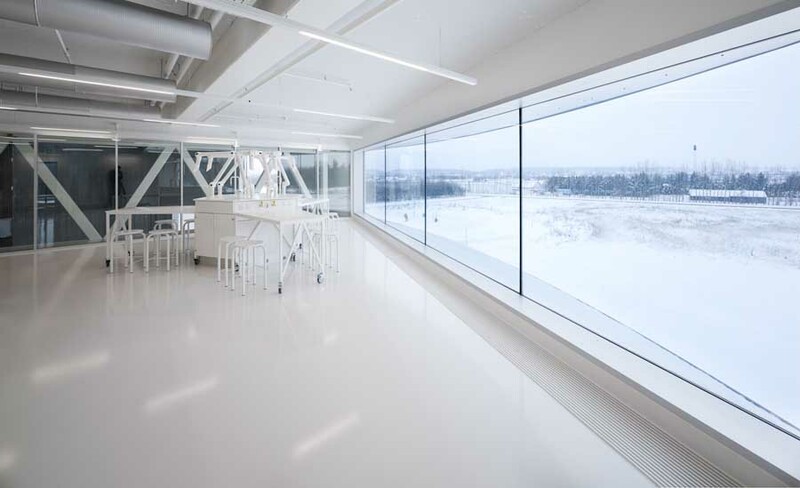 Natural Science is about exploring and asking questions, so we wanted to design a building that made them do just that, says partner in Nord Architects Copenhagen Johannes Pedersen. 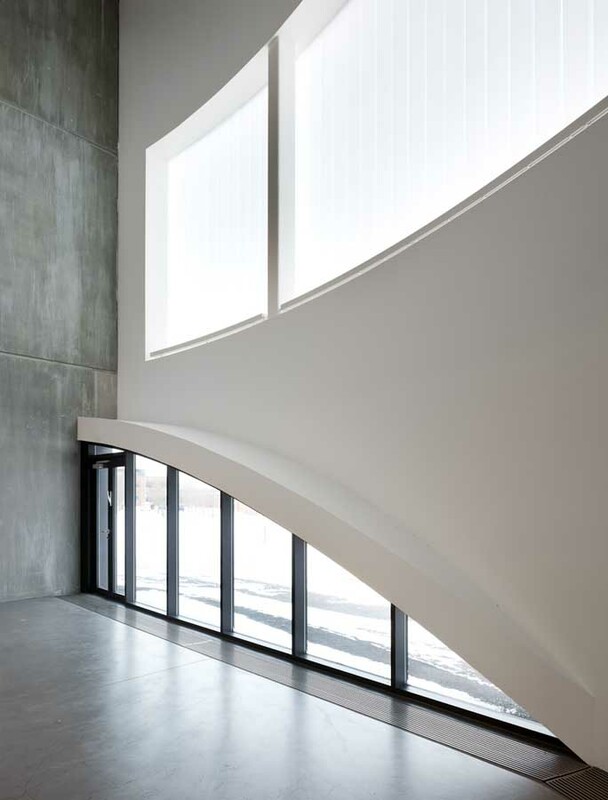 The building is designed with a sturdy interior to encourage experiments. If a future scientist needs to make a hole in the concrete floor to carry out his experiment, it is quite all right. The architects are okay with it. Despite the Natural Science Center’s iconic status, it is first and foremost a building designed to be used. – We have made a clear distinction between the interior and the exterior. The interior is rough with concrete surfaces designed to be used, while the exterior has smooth surfaces made of glass profiles. 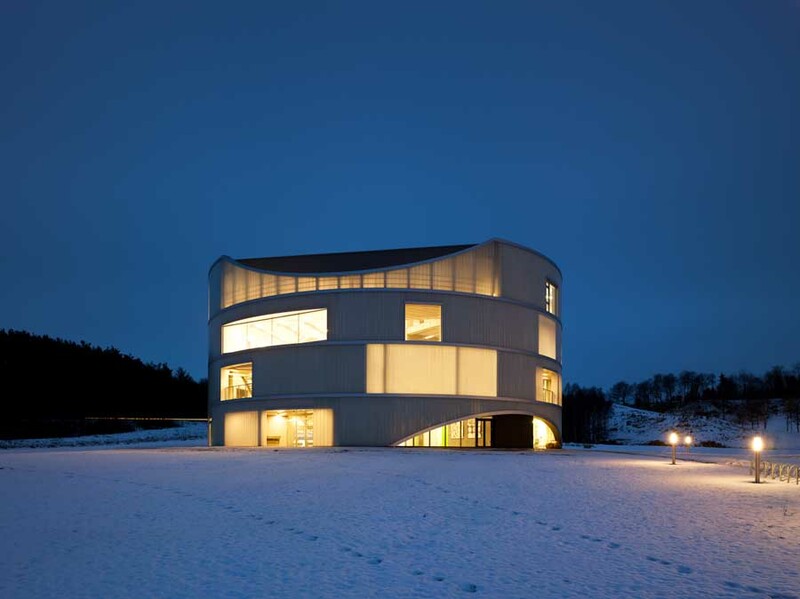 In this way the building is both an elegant icon for Bjerringbro and a place where young people can get their hands dirty doing all sorts of experiments, says Morten Rask Gregersen. The Natural Science Center designed by Nord Architects has been called one of the most important buildings in Denmark during the last decade. Now the Honorary Members of the World Architecture Community Awards follow suit with citing the innovative learning centre as a project deserving admiration. The Natural Science Center was designed by the young office NORD Architects from Copenhagen. The competition was won in 2007. The Natural Science Center is finished. 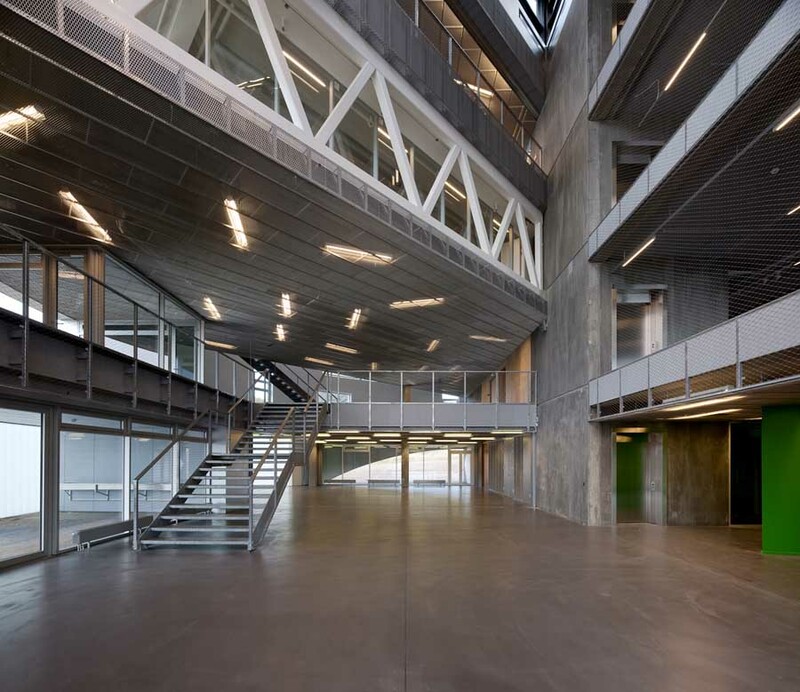 The innovative building is designed by the young office NORD Architects in Copenhagen. 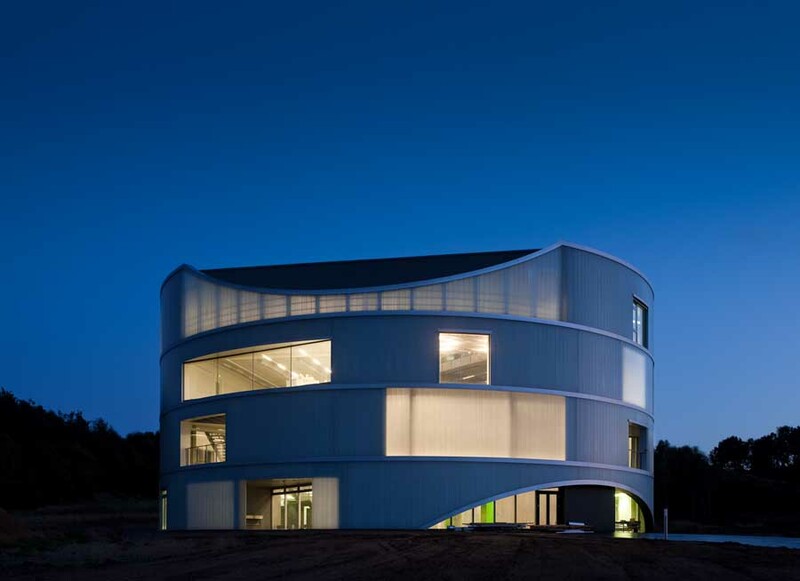 The center is an ichnographic light tower for innovative education and knowledge production within natural science. The purpose is to inspire and enhance the abilities for the teaching of the natural science in the educational system on a national scale. The center is one big educational laboratory embracing the facilities for lecturing, project development and educational processes that can enhance the interest and stimulate young people during secondary school and high school. The Natural Science Center is designed by the young office NORD Architects from Copenhagen. The competition was won in 2007. 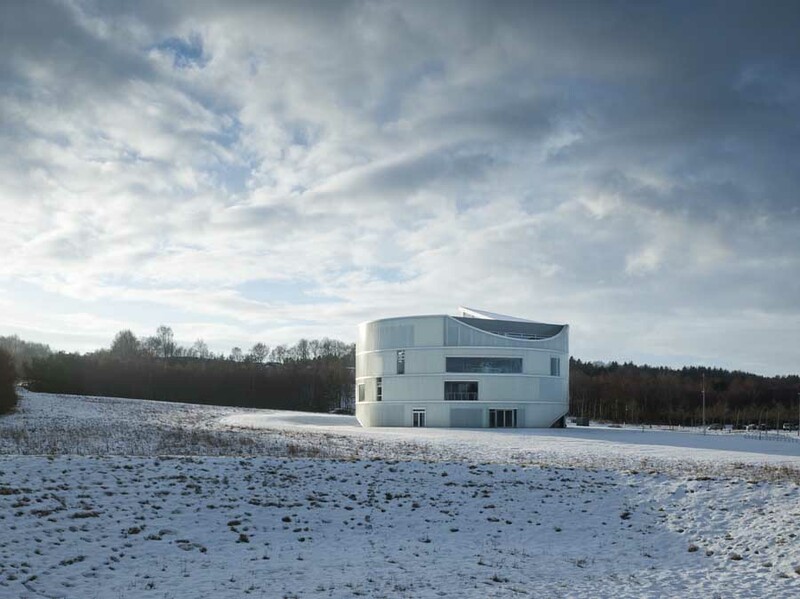 The building is a monolithic cylinder generated in a series of geometrical transformations. Towards the exterior the building looks homogeneous with a façade cut in different ways by terraces, window openings and translucent openings. 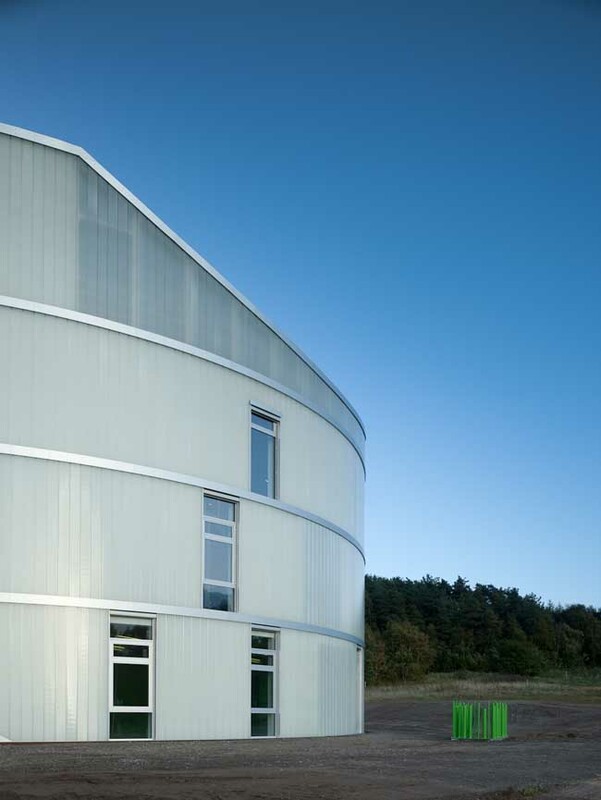 The façade is covered by u-glass profiles, that changes character when weather and light conditions change. At night it is lit from the inside like a light tower on the seaside. 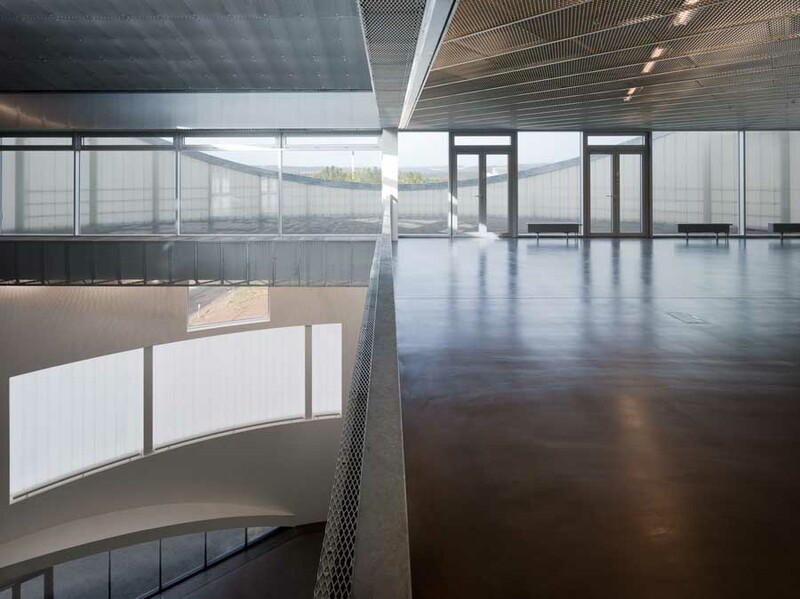 Inside the building there are differentiated spatial experiences, flexible areas and internal connections. The Natural Science Center is placed on a hillside towards the north and it is the first thing you see when entering the city. On the large plot the “Natural Science Gardens” will be established as an external educational site open for the public. “We are very proud of the result. It has become a very good story to tell that we as a young office in collaboration with the client and entrepreneur have delivered a building in time and within the budget. This center is an example of how to create a new type of institution aimed at the future need in terms of learning and innovating.” Morten Rask Gregersen and Johannes Pedersen, partners in NORD Architects, Copenhagen. Donators: Realdania, Viborg Kommune, Poul Due Jensens Fond, mfl.